Fundamental analysis helps both the novice and the experienced traders, to make, better and well-planned investment decisions. Books written by some of the most successful writers are a great way to acquire knowledge and educate oneself about the ins and outs of fundamental analysis. But there are so many books on fundamental analysis; it is difficult to sift through them. Security Analysis written by Benjamin Graham and David L. Dodd was first published in 1934, after the stock market crash in 1920. Although it was first published over 75 years ago, it still provides many useful insights into the way the stock market works today. The author, Benjamin Graham is known as “the father of value investing”. This is a great book for any level of investor, be it a novice or an experienced investor to have it in their collection. It is quite long and can sometimes be boring for a novice but it makes up by providing in-depth knowledge on Fundamentals. This book written by Benjamin Graham is considered to be the most popular book on fundamental analysis as well as value investing. Published in 1949, this book is considered to be a bible on investment for all types and all levels of investors in the World. This book covers how investors can analyze a company’s future performance by studying the present financial statements.  The author explains various topics like earning per share, stock selection, management team analysis etc. Warren Buffet himself considered this book as the “best book on investing”. This book is written by Peter Lynch who is American Investor and mutual fund manager. According to him, anyone can reach their financial milestones by investing in the brands they use every day. This book is designed in order to help the investors understand and invest in the market through everyday seen or consumed products. In this book, the author has explained in such a style that anyone who is in school or older can understand how to read a stock table, company’s annual report, and why everyone should pay attention to the stock market. The author has not only explained how to invest but also how to think like an investor. This book was first published in the year 1958. The author of this book, Philip Fisher was a pioneer in the world of financial analysis. The author has highlighted that an investor should not buy any stock without doing proper research or getting adequate information on its performance of last years. According to him, it is also important to find the future prospects of the stock. This book written by Matt Krantz is a supplement book for those who already know about fundamental analysis and investing or those who want to start researching the stocks. The book has a good introduction to fundamental analysis and it also provides the reader with detailed information on investing. This book is overly simplified therefore this book is not for the investors who already have knowledge of investment and fundamental analysis. Once you start reading it you will find great information on the subject. It is a good book for those who want to build their base on fundamental analysis. This book is based on the idea that the stocks are worth the present value of the dividends paid in perpetuity. This book is known for the technique of discounted cash flow. This is the foundation of business valuation which is used for making investment decisions. Even Warren Buffet is inspired by this book written by John Burr Williams. In this book the present value of the stock is presented as net present value of its future dividends. This book is based on the principals of value creation. It provides complete knowledge which is required by the executives in order to take value creating decisions. It also contains case studies related to analyzing the historical performance of the company and also the financial statements. This is a must have book for the investors. This book is a great place to start for understanding ratio analysis and improve business or investment decisions. It is a concise, clear and friendly book. This book teaches you about the application of ratio analysis, by taking the data from financial statements and evaluates performance. This book contains important topics like accounting analysis, business strategy analysis, financial analysis etc. The book presents the application of this business analysis in credit analysis, security analysis, merger and acquisition analysis etc. This book features Harvard Business School case studies. It is true that the most successful traders are usually the ones who is well prepared and educated. Fundamental Analysis is a key tool for making well-reasoned investment decisions. Books are the best low-cost methods for advancing your knowledge of the stock market. Each book mentioned above is packed with strategies and techniques which will help you in making long-term successful investment decisions and also will help you in minimizing risk.